*Please note: 58/2020 and 63/2030 lug caps have raised buttons; 43/2010, 48/2010, 70/2030, and 82/2040 caps are flat. The black metal plastisol lined lug caps are available in six sizes and are compatible with lug twist open containers. 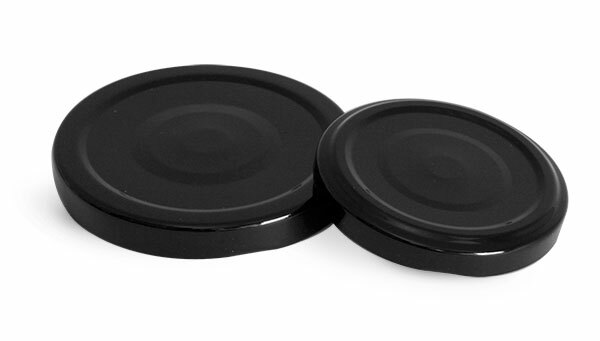 When the black metal lug caps are placed on their compatible containers, suggested heating methods will heat the plastisol liners causing it to solidify creating a seal between itself and the container.